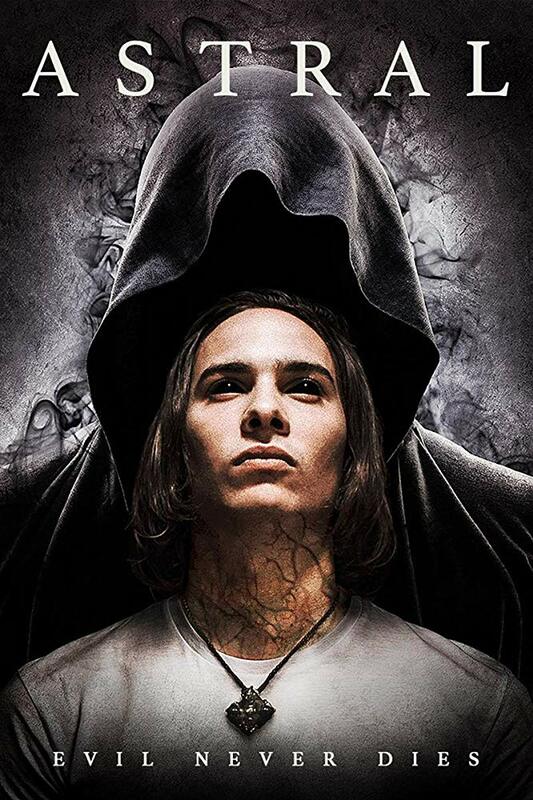 Frank Dillane makes the move from drug addicted mummy's boy Nick Clark in FEAR THE WALKING DEAD to quiet, troubled university student Alex Harmann as he learns how to use the technique of astral projection to reconnect with his mother. His mother had committed suicide when Alex was very young due to years of mental illness. After taking advice from his lecturer he tries several times to project but proclaims to his friends that he is finding it an impossible task. 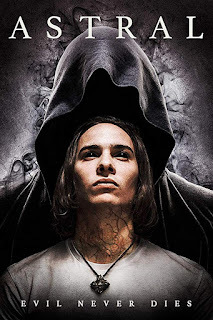 With help from his friends he manages to do it but then they find themselves plagued by shadowy figures trying to get through from the spirit world and Alex seeks help from a medium. Director Chris Mul has come up with a reasonable offering here with an effective soundtrack, some good FX and a few creepy moments but it feels like it's missing that twist or spark to really make it something interesting. It takes a while to get going whilst also managing to skim over large parts of plot that could have given it that edge to peak people's curiosity. There is a lot of talking but it doesn't go into much detail on the subject of astral projection. Oddly I think this is actually a good thing as it could have bogged this down unnecessarily. The acting from most is fine and I found the majority of the characters quite likeable. The shadowy figures are pretty imposing and creepy, as are the circumstances surrounding Alex's mother but there is little else in the way of horror. It's a supernatural thriller at best bearing a few similarities in ideas to FLATLINERS that warn of the consequences of out of body experiences. It has some great art work in the title sequence and it certainly is watchable but it treads very familiar ground without bringing anything particularly spectacular or unique.